Autumn is the perfect time to go on your holidays. Summer is over and the dark nights are drawing in, but if you’re still dreaming of soaking up those rays, or even if you just need a break from the daily grind, there are plenty of beautiful places to escape to at this time of year. In fact, it’s a pretty perfect time to visit a lot of destinations, as temperatures are moderate and the kids are back at school, making flights and hotels that little bit cheaper, and popular tourist spots a lot quieter, giving you more time to explore. Where is best to holiday in autumn? European holidays are great for families, as the short flight times mean the kids won’t get restless, and there are plenty of options for both action-packed and sun-drenched getaways. Those looking for a bit of adventure may wish to hop a little further around the globe, South-East Asia is still scorching during UK’s autumn season, and Australia is just entering into their summer, so there’s no shortage of rays if that’s what you’re after! We’ve picked out some of the best autumn holiday destinations for all types of traveller. From the best half term family holidays to the best holiday destinations for winter sun, if you need some travel inspiration, this list is sure to jumping on a plane in no time! Just a short hop across the Atlantic, Lisbon is the beautiful, bustling and vibrant capital of Portugal. It’s a great city for a range of travellers including solos, couples and families, with plenty to see and do during your stay. The old town is filled with pastel coloured buildings and a rich cafe culture which makes dining alfresco the best way to relax in this city. During autumn, temperatures are still around the mid-twenties, meaning spending some time just outside of the city at the stunning beaches is a great way to unwind. They’re also on the same time zone, so if you’re looking for the best autumn holiday destination for a quick city break, you won’t lose any sleep from jetlag here. Montreal is full of autumnal orange and red foliage during this time of year. Located in Quebec, Canada, and set on the Saint Lawrence River, this city is picture perfect during fall. Temperatures are low during autumn, but there is plenty to see and do in this stunning Canadian city. Catch a sunrise over the city from the top of Mont-Royal, or go on a food tour and try some of Montreal’s staples such as the classic bagel or poutine (French fries, cheese and gravy!). If you’re a fan of architecture then check out the Gothic Basilica Notre-Dame, which is full of life and colour, or take a stroll in one of the many parks to soak up the fresh Canadian air. For an all-out adventure, head down under to Australia’s Gold Coast. Our autumn is their spring, so temperatures will be starting to hot up for their summer months and you’ll have guaranteed sun, sea and surf! Known for it’s long, sandy beaches, Brisbane’s Gold Coast is absolute paradise for anyone looking to surf, dive, sail or sunbathe. Aside from beautiful beaches, the Gold Coast is home to National Parks and theme parks, meaning there really is something for everyone. It’s also a popular starting point for backpackers and those looking to explore Australia via road trip. Another picturesque location just a short hop across the Atlantic for us Brits, Amsterdam has a whole host of culture and beauty to enjoy. It’s not all about the coffee shops and Red-Light District. If you just want a short cultural break then head to the Van Gough Museum to see some world-famous paintings or history buffs will find the Ann Frank house an incredibly fascinating account of the horrors of World War II. The city is best explored by bike, where you can really take in the beautiful scenery along the canals and parks that are dotted around the city. The locals are said to be extremely friendly and although the weather isn’t the hottest during autumn, there certainly are lots of gorgeous colours on the trees during this time. Most people would assume Finland to be a winter destination, but Santa Claus aside, Finland is the perfect place to witness the natural wonder of the Aurora Borealis during autumn. Stay in a secluded chalet or sleep under the stars in a glass igloo to witness this rare event with no noise or light pollution. If you’re a fan of the great outdoors then there is plenty for you to take in, as Finnish Lapland is beautiful both day and night. When Finland enters ‘ruska’ (autumn), you’ll witness a vibrant bed of reds, browns and yellows cover the countryside as the leaves begin to turn, making hiking trails extremely popular during this time. If you fancy a “staycation” this autumn, then Cornwall is a truly beautiful place to visit. 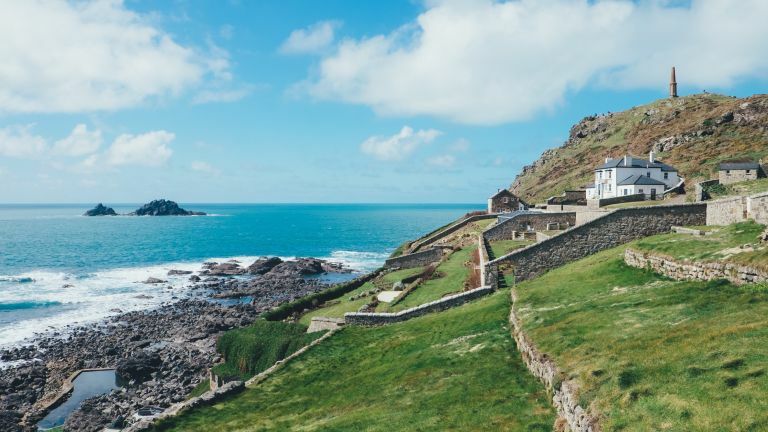 Situated in the South of England, the endless Cornish countryside makes for the perfect autumn holiday destination for those who like long walks and stunning scenery. As we all know, British weather isn’t always the best, September and October can often surprise us in terms of temperature. But it doesn’t have to be all about the sunshine, either. There’s nothing better than heading out on a cold and crisp day and then coming home to cosy cottage with a nice log fire. So if you can’t afford a big holiday, autumn is the perfect time to explore the beauty on your doorstep. If you fancy some summer heat without the busy crowds, then autumn is one of the best times to visit Cyprus. Situated within the Mediterranean, this is a great destination for soaking up the sun and lounging by a pool. Cyprus is also popular for overseas weddings, so if you’re looking to tie the knot, then check out some of the fantastic resorts on offer. Paphos and Ayia Napa are good for those looking to party, while Larnaca and Limassol provide the perfect setting for those wanting a traditional beach holiday. With a reasonable 4 hour flight time, Cyprus is a great autumn holiday destination for those needing an escape from the colder days drawing in.